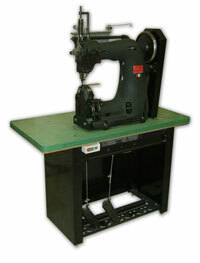 To make police duty gear we need some heavy duty stitching equipment. The Union Lockstitch machine is one of the best to make uniform, tight stitches in police leather goods. It easily stitches 3 layers of 8 ounce leather at speed.